LOGAN SQUARE — There are signs indicating prominent neighborhood landlord M. Fishman & Co. may acquire the old Milshire Hotel. 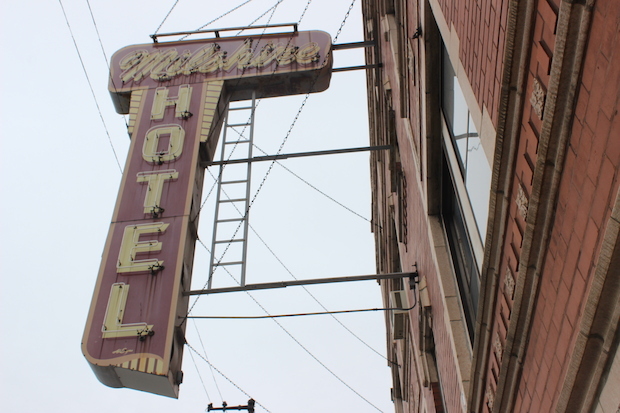 The Milshire, a single room occupancy facility at 2525 N. Milwaukee Ave., is being vacated. Tenants recently were told by management that they must leave by May 31. Illinois Secretary of State records list a filing by Logan Square landlord M. Fishman & Co. to create a Limited Liability Corporation called "2525 Milwaukee," the address of the four-story Milshire. Filing an LLC for a building is a “99 percent indicator” that a company intends to acquire a property, according to DePaul finance professor Rebel Cole, who called it "very important" to the process. Under such arrangements, LLCs are used to insulate owners from liabilities at a property, he said. Various business listings name Arthur Fischoff as president of the hotel. Calls to the hotel seeking comment on a potential sale were unreturned. M. Fishman and Co., owned by Mark Fishman, owns at least 22 buildings in Logan Square, including the Logan Theater, according to the company’s website. The company has become the target of protests by some tenants and local housing activists for what they say are unreasonable rent increases. Experts say rising rents in Logan Square are an example of a situation occurring in a number of U.S. cities: an increase of people in their 20s seeking to live in popular neighborhoods but not owning their own homes. "I think the challenge is doubled based on the population that's served by the Milshire," said Laspata. “Those folks are going to be at a high risk of being homeless."